You mean business, and hence reaching and surpassing business goals is your driving prerogative. We at Fine Soft Technologies are there to see you through. That’s because we are professionally and proficiently equipped to ensure the same. Seeing that you achieve online target is what eggs us on. This in turn highlights the overwhelming role-play of search engines. The World Wide Web is forever on the move, it is constantly evolving. Similar is true of search engines, as they happen to be on a never ending spree of evolution. It is a fact that specifications and dynamics of search engines are likely to change. But no matter what the changes are, you should be single-minded in attaining search engine visibility. This is precisely where we chip in with our role-play and proficiency. he current business scenario is extremely competitive. In order to etch your stamp of success, and stay on the forefront, you are expected to be well versed with the changing dynamics of search engines. That’s because the latter has voluminous roles to play in making or marring your marketing moves. Our proficiently competent marketing team is well aware of the currently relevant search engine marketing practices. The team knows how to drive you on, so that you can surge well ahead of others. It not only makes effective use of time tested chisels of optimization, but also implements tactics that are fresh and new. – Helping clients with the deals and details of submission so that they are aware of the relevant avenues of portal submission. 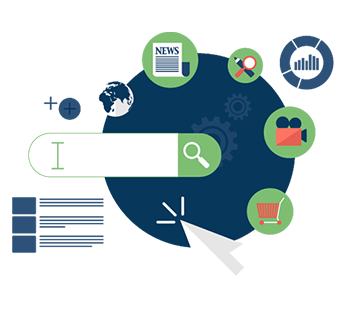 From laying the crux content and thematic essence of your site to providing you with market friendly tags, Meta tags, keywords, phrases and contents; we make sure that you are on the foremost slot of ranking. We make it a point to report clients with their exact lay of position in the scheme of ranking. Reporting and reviewing are carried out thrice in a year. In view of the progress made, relevant changes are introduced, applied and implemented.